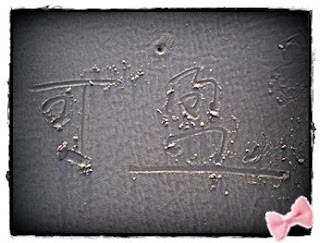 The last day of April.The new start for May. We have embarked our 4th Monthsary yesterday. Went back to hometown and I was at grandma's house when i took this pic ..Scary right? I fell in love with the taste even though it was my first try. Happy because it was my outing day with three best girlfriends. Attended the Degree Convocation held on 3rd of April 2009. A memorable moment to celebrate together with my Dear. 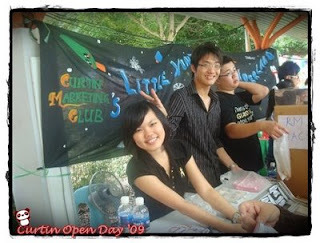 I was helping out at the CMC booth as Ice Cream Sales Girl. Felt so glad to have the opportunity to participate and everyone did a good job. Back home here,I cant stop eating...grrr..I am 45kg now...heavy me!! But then I am sick at the same time...hurrr....I couldnt sleep well!! Tonnes of homework to follow up especially Human Resource Management Individual Report. I have so much worries nowadays.I wonder where is the cheerful Janet that used to be?? Preparing myself to get into Holiday Mood. But before that I have to go through a series of assignments. All are going to due when the clocks strike twelve tonight. 5/4 Leaving Miri.Going back home. I am so wanting to have a study life balance.Still balancing tho..